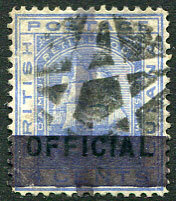 on 1878 (1c) on 4c blue OFFICIAL with two horiz. 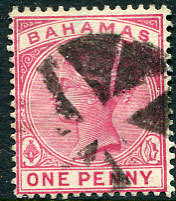 and one vertical bar (SG.144, Cat.£110), some light creasing. 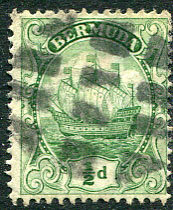 on QV 1d (SG.48), unusual. 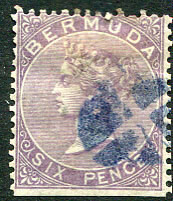 applied either locally or on arrival in blue ink on 1865 QV 6d dull purple (SG.6), str. edge at base. Unusual. 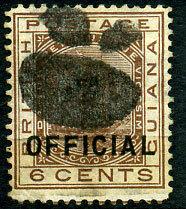 1878 (1c) on 6c brown OFFICIAL (SG.145), fine used with attractive cork cancel. Cat.£110.00.